SAN ANTONIO, Texas. / January 29, 2019 / GENERAL AVIATION NEWS – Avfuel Corporation’s keeping the focus on fuel at the 2019 NBAA Schedulers & Dispatchers Conference with booth space (number 1437) dedicated to conversations on sustainable alternative jet fuel—the company’s major focus throughout 2018 and beyond. The company enters the conference with SAJF at the top of its mind after a successful “flying green” day at the Van Nuys airport on January 17. 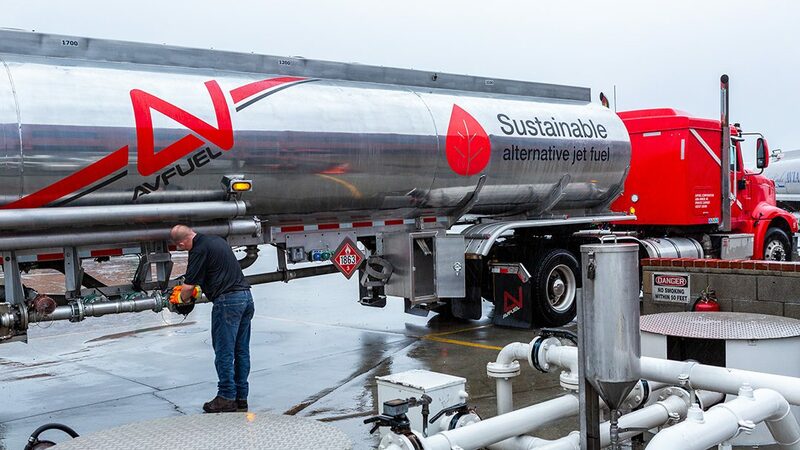 This was the first time sustainable alternative jet fuel became available to operators at a business aviation airport and the first time the fuel supplier launched the new SAJF product. During the event, the airport served approximately 250 arrival and departure turbine operations. To better educate flight departments on sustainable alternative jet fuel, Sawyer will be available to discuss SAJF in the dedicated booth at SDC2019. These commitments, notes Sawyer, are imperitive to the SAJF mission. Currently, the main obstacle to the widespread adoption of the product is its availability. There currently isn’t enough SAJF being produced to serve the entire aviation industry. Through commitments, Avfuel is able to more accurately share product demand with producers, helping to encourage increased output of the SAJF product. Attendees are encouraged to stop by the SAJF booth (number 1437) to speak with Sawyer about sustainable alternative jet fuel and visit the Avfuel Aisles to network with the fuel supplier’s co-exhibiting branded FBOs. Avfuel will also once again be hosting its popular “Fuel You Style” shopping promotion. Schedulers and dispatchers can stop by Avfuel booth number 1434 to pick up a playing card. Avfuel provides fuel and services to the global aviation industry and is the leading independent supplier in the United States. Established as a supply and logistics company 45 years ago, Avfuel is core competent in every aspect that surrounds the delivery of fuel – from refinery to wingtip. Avfuel combines global access with personalized service throughout a fueling network of more than 3,000 locations worldwide and 650+ Avfuel-branded dealers. Our 100% dedication to aviation demonstrates our passion and commitment to a global community that prospers on the movement of goods and services around the world.